As you read this, I am in Minnesota at MantiCon 2017, a fantastic show devoted to all-things-geeky, but centered on the Honorverse. Not only am I a member of The Royal Manticoran Navy (Captain Sean Patrick Fannon, Commanding Officer, HMS Reliant; Communications Officer for the Office of the First Space Lord), I am also the Gaming Guest of Honor. In honor of all that (see what I did there? ), here’s a callback to a great space combat game set in the Honorverse. What’s fascinating about this game is how it manages 3D movement and combat at a truly science-fiction galactic scale. Space Combat in the Universe of Honor Harrington! 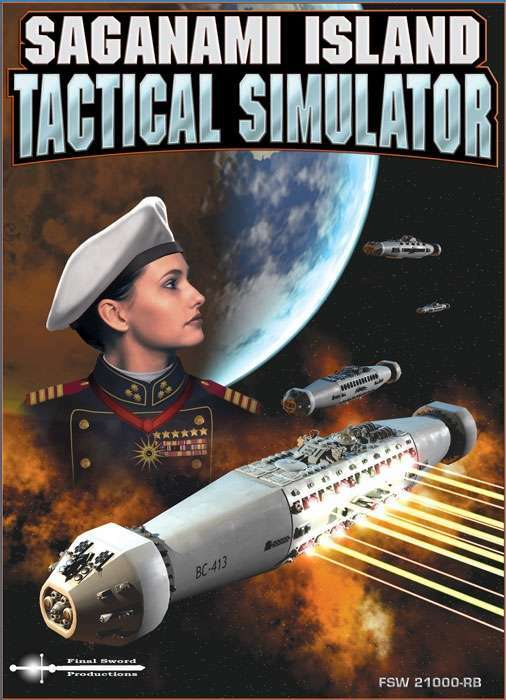 Saganami Island Tactical Simulator puts you in command of the ships of the Honorverse. Based on the game engine from the Origin Award winning game, Attack Vector Tactical. Thrill to the long range missile duel, dancing in 3-D vector space with broadsides of laser heads. Or close in to “kissing distance” and unleash the titanic fury of grasers and lasers! SITS uses two game scales – the tactical game scale has 7.5 minute turns, and 125,000 km hexes. The system scale uses 25 light second hexes and 1 hour turns, with simple rules for transitioning between scales. SITS offers tactical control without massive record keeping – watch salvoes of hundreds of missiles melt away with a handful of die rolls. Simultaneous Sequence of Play means that everyone at the table is doing something, rather than waiting for the other guy to finish their turn. Accurate, intuitive 3-D movement system, allowing combat to break the plane of the map, and giving unprecedented tactical depth. This download includes JUST the rule book as found in the box game version of SITS.